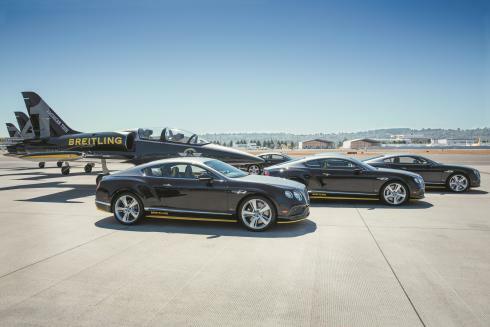 Centigrade PR was recently on-site in Seattle when Breitling, together with Bentley, their automotive partner of more than twelve years, unveiled the Bentley Continental GT Speed Breitling Jet Team Series at the Seattle Boeing Seafair Airshow. 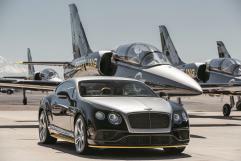 Owners of these bespoke vehicles were presented keys to their seven cars in front of the seven jets by the matching jet pilot, and also received the corresponding Chronomat 44 Breitling Jet Team Limited Edition numbered timepiece. 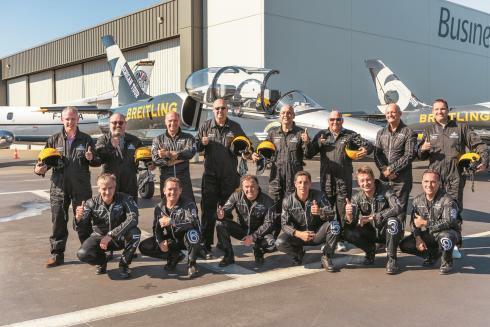 After seeing their cars for the first time, guests experienced a once-in-a-lifetime passenger flight in formation with the Breitling Jet Team high above the Seattle skies. Centigrade offered the exclusive media opportunity to host a production crew from CNBC and capture this special moment for a segment that will run later this fall.